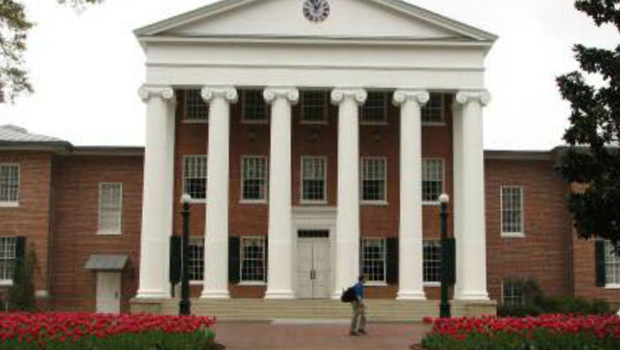 The changes are part of an effort started in 2014 to provide historical context on the Oxford, Mississippi, campus, which was rocked by violence after court-ordered integration in 1962. The administration has already added a plaque to provide information about slavery and the Civil War to a Confederate soldier statue near the Lyceum, the main administrative building on campus. University leaders have said they're trying to make a diverse student body feel more welcome and to shed light on "our historical truths." "As an educational institution, it is imperative we foster a learning environment and fulfill our mission by pursuing knowledge and understanding," Chancellor Jeffrey Vitter said in a news release posted to the university's website. The move to add historical context to some places and to rename others at Ole Miss comes amid debate in many parts of the U.S. about how to deal with the public display of symbols and monuments tied to slavery and the Confederacy. New Orleans is among the places that have recently removed Confederate monuments. Harvard University this year acknowledged its ties to colonial-era slavery, Georgetown University has reached out to descendants of slaves once sold by the school's leaders, and Yale University rebranded a residential college that had been named for a 19th century U.S. vice president who supported slavery. The university is seeking input from the public and can be sent to them using a feedback form on its website, according to WLOX. The review and comment period will run until July 31, the station reports.